I live in the midwest, when winter rolls around it tends to stick around for a very long time. The weather has a way of influencing my decorating. Today, in late fall, I’m excitedly creating snow and winter themed pieces to use around my home for the next couple of months. Come March I will be tearing those down and feverishly putting up Spring decor in hopes of ushering in an early Spring. Because winter can be long I like to decorate now, before Christmas, with winter themed items that I can keep up through the new year. Neutral pieces with snow themes tend to work for Christmas and beyond. 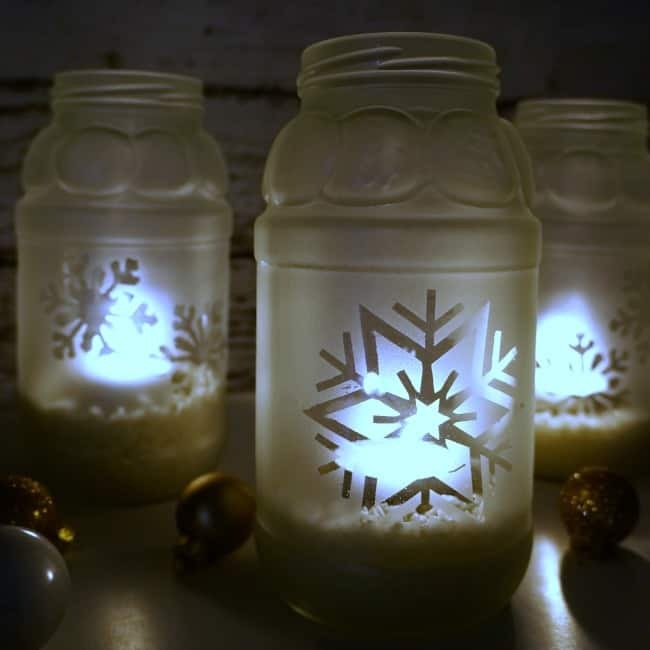 Today I am sharing these snowflake jar luminaries I made that will work in my home for the next couple of months. 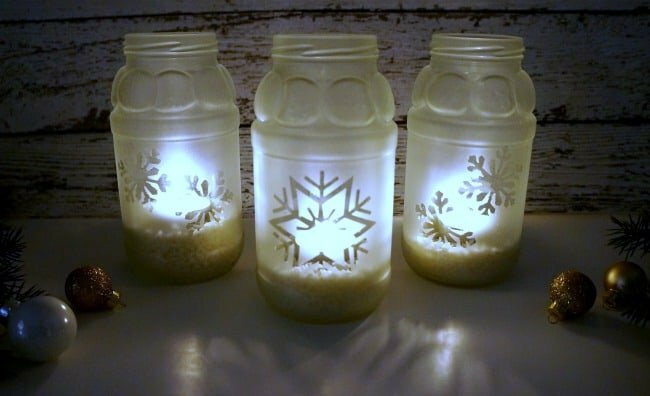 Here is what I used to make these snowflake jar luminaries. 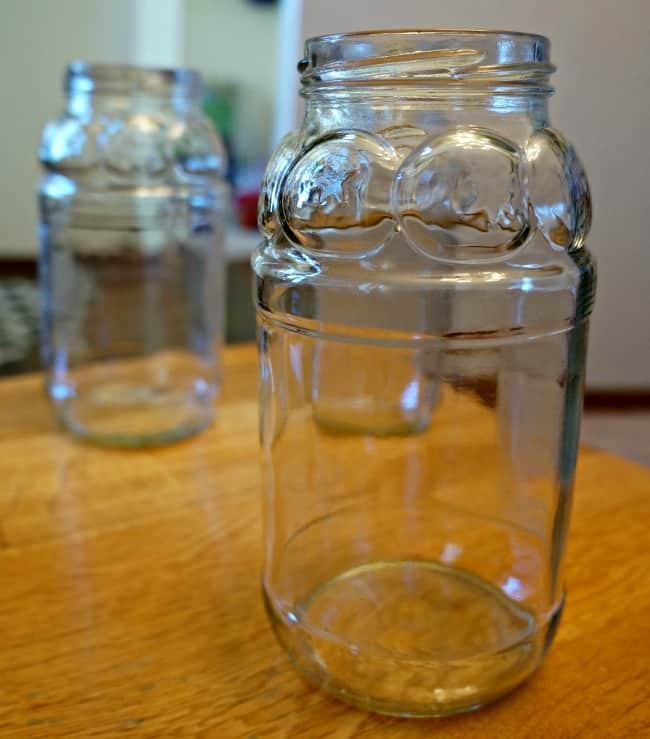 I started with clean sauce jars, I save all my jars for crafts they really come in handy. 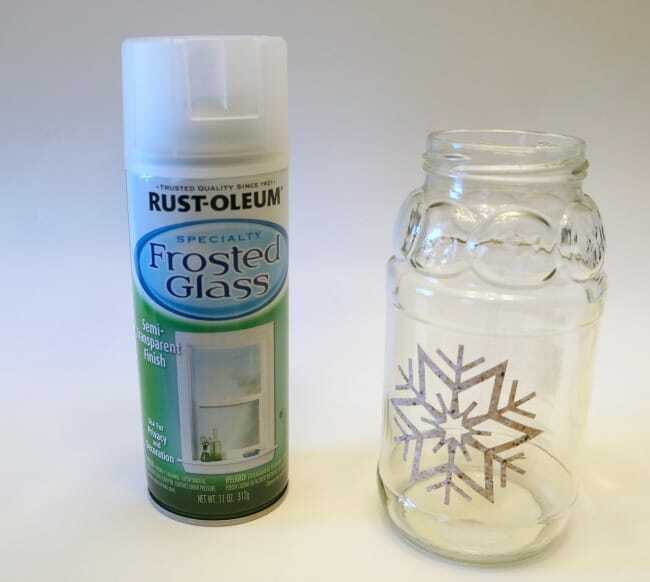 They tend to be pretty much less expensive than buying new mason jars. 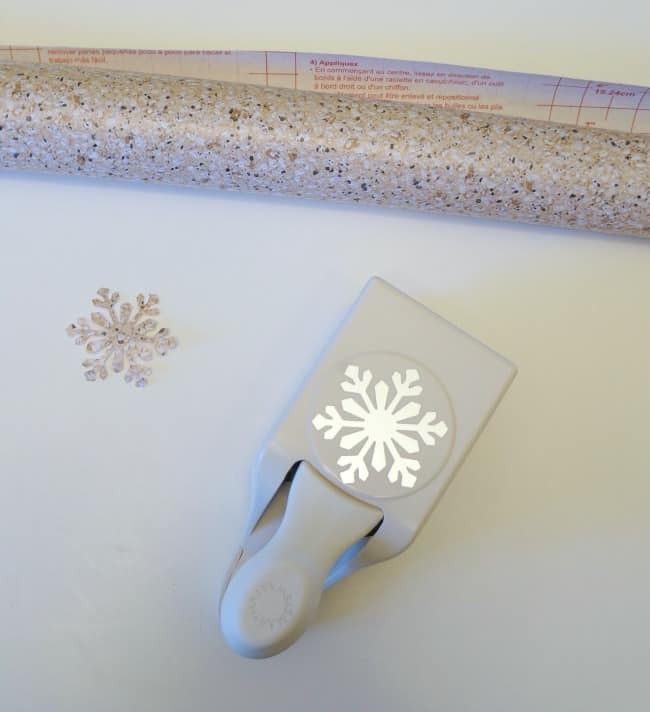 I used a snowflake paper punch to make stencils from Con-Tact paper. This Con-Tact paper has a temporary adhesive and removes easily revealing nice crisp stencil lines. I also used my Silhouette to cut a more intricate snowflake from the same Con-Tact paper. Once the stencils were in place, and I removed any bubbles creating a nice seal, I sprayed them with Rustoleum Frosted paint. This goes on just like spray paint but leaves a thin frosted layer behind. I followed the instructions on the can then let the jars dry for about 30 minutes before removing the stencils. Then I filled the bottom of the jars with rice and added a tea light to each one. 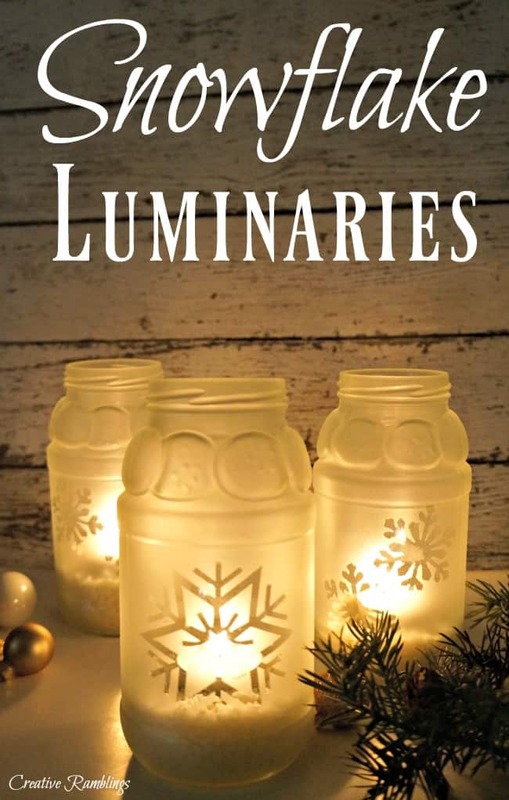 These jars will make their way around my house for the duration of winter. They add a cozy glow to these evenings when it gets so dark so early. I’d love to hear how you decorate for winter. These are gorgeous! I love that frosted glass spray paint. It is definitely one of my “go to” products!